Prevent any potentially costly damages to the exterior and interior of your home through the implementation of these home maintenance tasks. We have thought of several ways to protect your home from the harsh weather conditions that are associated with the winter months. Here are 6 home maintenance jobs you should accomplish before the harsh winter weather conditions start to take effect. Ensuring you have performed a few home maintenance jobs before the winter weather sets in will help to avoid any unnecessary and costly repairs from being required. Not only will your home be in the best possible state for protecting itself against the harsh weather, but you may also find that completing these maintenance tasks will help reduce energy waste. Ensuring your home is fully draught proof will minimise heat waste and prevent long-term damage to the structure of your home. Some of the tasks we have included in this guide are significantly easier than others, but we believe them all to be necessary for ensuring your home stays in good condition all year round. The last thing you’d need, a week before Christmas, would be for your boiler to give up on you. Therefore, now is the time to invest in a boiler inspection. You also need to consider the fact, that the older your boiler is, the more inefficient its likely to be. If you have owned your boiler for several years, it will be even more worthwhile to have it looked at. We advise making sure your pressure gauge is at the correct pressure and that the boiler is topped up when needed. It is suggested to have your boiler inspected at least once a year to confirm that it is operating safely, so we suggest timing this inspection just before the weather gets too cold. It may also be worth insulating your hot water tank to conserve heat and help save you money over winter. The necessary materials can be easily purchased at most DIY stores at an affordable price. For more advice on how to insulate the water tank in your home, take a read of this guide. To prevent cold air from entering your home and the warm air from escaping, make sure to inspect the quality of sealing around doors and windows. Make sure that all existing seals are in good condition and ensure to repair any cracks or cavities that have formed. If you have older timber frames windows, you may want to consider the possibility of having these replaced with a more thermally efficient alternative. Modern uPVC windows and Double Glazing Milton Keynes is the most effective combination for eliminating the presence of draughs and retaining heat in your home. For an easier solution to the problem of draughs, fit your doors with draught excluders to prevent energy wastage. This is an important task to do before winter really sets in. 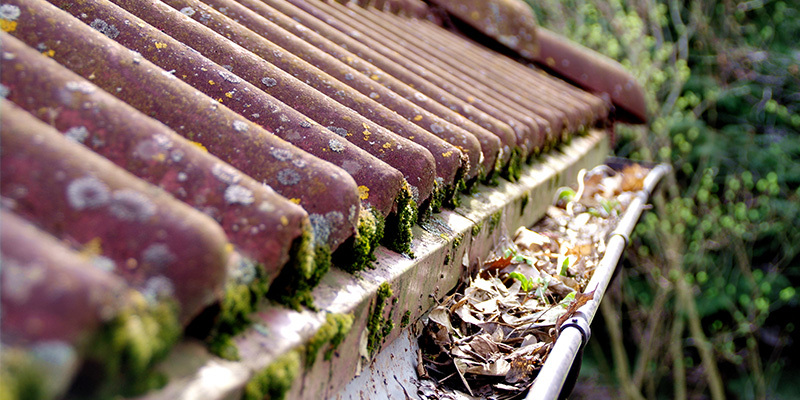 Once all of the leaves have fallen off the trees, it is essential you take the time to clear out your gutters. Check the gutters and the downspouts for accumulated leaves and debris and clear out when necessary to prevent any buildups and blockages during heavy rain. Ensuring to complete this simple home maintenance task will help to prevent internal damp from the external walls being soaked by any leaking gutters. If you live near to the seaside or your home is particularly exposed to wind and rain, then these weather conditions can be driven into the property’s masonry and lead to the development of damp. Make sure to inspect the condition of your home’s exterior and then repair what is necessary; don’t wait until the springtime. If you have noticed visible cracks in the rendering, gaps around the windows and leaks in your roof, then these all need to be taken care of. It is essential that these defects in the exterior are sealed to prevent the rain infiltrating the plaster or brickwork. As winter approaches, so will the windier and wetter weather conditions so it is important to tend to the garden beforehand. Make sure to trim the trees and hedges in both front and back gardens, removing all evidence of dead or weak branches that could come down in the windy weather. If you let this happen, you run the risk of potential damage to your home’s exterior. Ensuring you tidy up the garden before the bad weather progresses will help to keep your home safe and secure throughout the winter. It is also necessary to take care of any broken fences or gates in the autumn to prevent an increase in the damages during the winter. Leaving damaged fencing unattended during the months where there are regular strong winds, harsh rain and freezing conditions will only intensify the initial problem. This is also likely to cost you more in the long run. If you are looking for ways to prepare your garden for winter, then take a read of this beneficial article. If you own a property that contains an open fire or a stove, then it is a good idea to clear the fumes outlet. This will help ensure the system is working effectively and to your advantage. This can be performed yourself, by hand using a chimney brush, or you could hire a professional to do it for you. If you have a fireplace but don’t use it, then it might be worth looking into the addition of a chimney balloon. This device prevents cold air from entering your home through the outlet and will help keep your home warm throughout the winter. If you have taken on board our advice and successfully completed these home maintenance tasks during the late autumn time, then you can rest easy knowing you’ve done everything you could to protect your home against the harsh winter weather conditions. Failing to do several of these jobs will only cost you more in the long run when you’ll eventually be obliged to have it fixed. If you have enjoyed this article, please feel free to share it on your social channels.